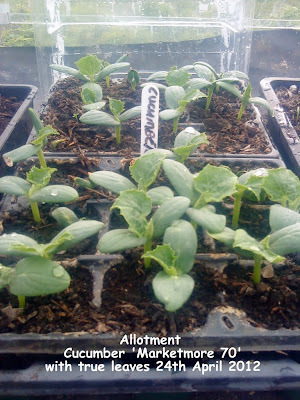 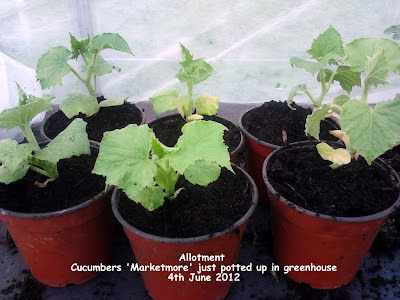 These plants came from the greenhouse on the allotment I share with Gerry. 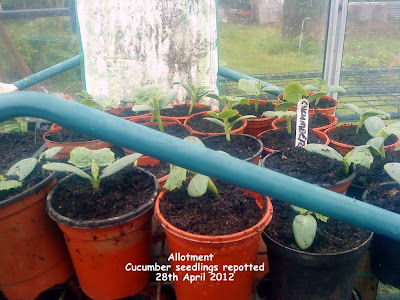 I sowed the seeds in the GH back in April. 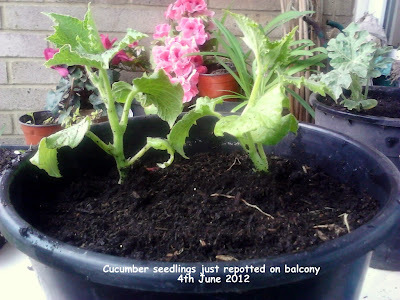 I planted a few plants in the GH border but as I had some left over I thought I’d have a go at growing them on our balcony at home. 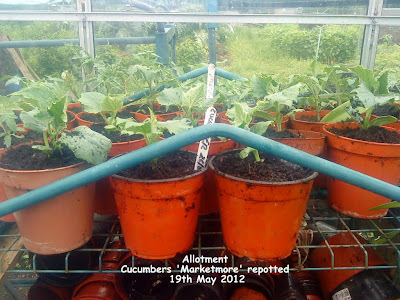 Cucumber 'Marketmore' coming to an end.